I’m sure you’ve heard the phrase “Nothing in life is free,” and nothing is – not even Medicare. In most cases, you won’t have to pay a premium to get Medicare, at least for Part A (here’s a refresher on the different parts of Medicare), but that doesn’t mean it’s free. You’ve just pre-paid in the form of taxes. So you don’t have to worry about a premium for Part A, which covers in-patient hospital expenses, assuming you or your spouse paid Social Security for at least 10 years. However, there are other costs associated with Medicare, which vary depending on the specific insurance. Here are the costs for 2015. Part D is also subject to a premium, which varies by plan and income. Additionally, prescriptions are subject to copayment or coinsurance and a deductible (if the plan has one). There is a seven-month initial enrollment period for signing up for Part A and B. If you do not enroll during this time period and do not have creditable health coverage (such as an employer group health plan), you could be responsible for a paying a penalty. Take another look at the prices for Part A. Can you imagine what you could end up paying for a long-term hospital stay? Medigap plans are additional insurance to help cover costs that Medicare doesn’t cover, such as copayments, coinsurance and deductibles. However, Medigap insurance requires an additional premium be paid. Needless to say, even with Medicare the costs can be catastrophic. This is why we can’t emphasize enough how important it is that you save enough money for retirement. 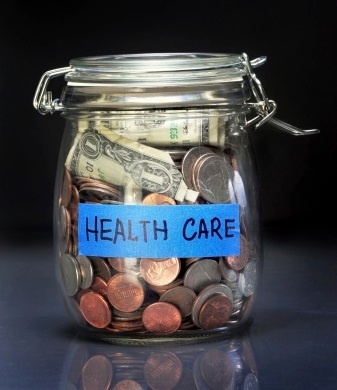 However, we understand that in many situations people are unable or unaware of the exorbitant health care costs they will face in retirement, so here is an article that discusses additional ways that retirees can tame those health care costs. Under federal regulations, Medicare is a secondary payer for many individuals who have an employer group health plan available to them, either as an employee or the dependent spouse or child of the employee. Read the answers to thirteen key questions about Medicare Secondary Payer rules including who is affected, what coverage must be offered to Medicare-eligible employees, whether Medicare premiums can be reimbursed, and more.